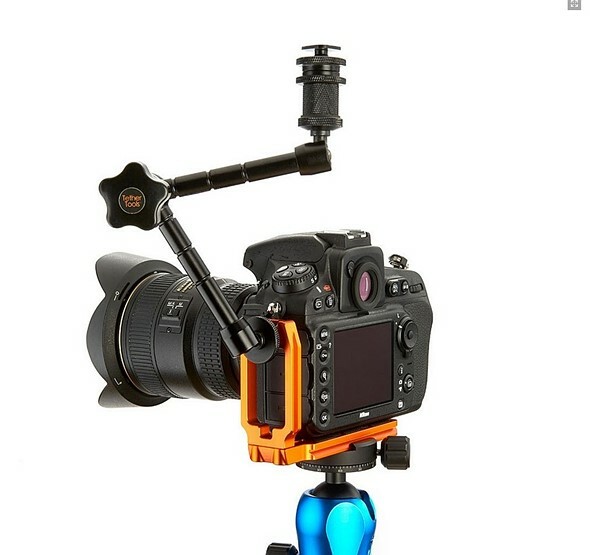 UK tripod manufacturer 3 Legged Thing has introduced a new, lightweight universal L-Bracket that offers full cable port access for a range of Canon and Nikon cameras, and which has a thread on its upright so users can attach accessories such as mics or flash brackets. 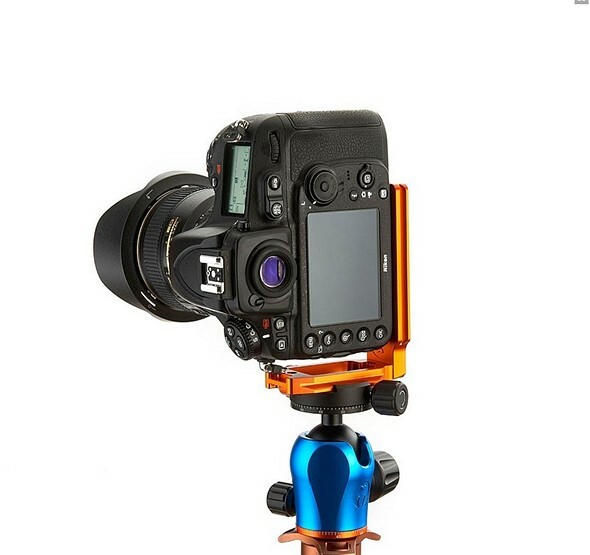 The QR11-L is designed to make switching from landscape orientation to portrait quick and easy when using a tripod. It is made from magnesium alloy, to be lightweight while still protecting the camera, and features a large cut-out area that offers varying degrees of access to microphone, headphone and USB/HDMI ports located on the camera’s end panel depending on the brand and model of camera. (We’ve included a compatibility list is below). Each axis has a strap lug and the base rail is shaped to be clamped into Arca Swiss style heads. For storage, the two plates come apart using a supplied tool and the whole kit fits into a drawstring bag for transportation. The 3 Legged Thing QR11-L comes in a choice of Copper or Slate colors and will cost £49.99/$49.99 when shipping begins on August 1st. For more information see the 3 Legged Thing website. The following cameras support the QR11, and enable full access to battery and cable doors. The new QR11-LG Quick Release Plate comes with a 110mm base, side bracket with cable access and 1/4”-20 accessory mount, compatible with standard Arca Swiss® clamps and heads. Designed to make the switch from landscape to portrait quick and easy, and with a side mount for optional accessories, the QR11-LG takes L Bracket functionality into the 21st century.